Velib bikes in Paris: how it works? 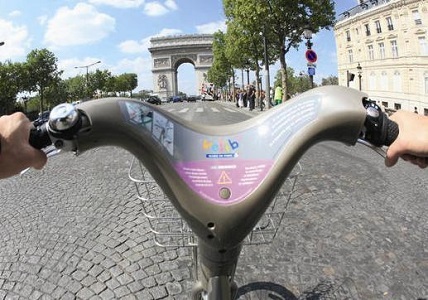 Discover Paris by Velib bikes, a bike rental in Paris. 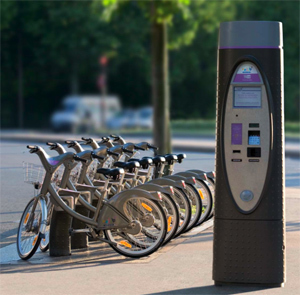 Since 2007, self-service bikes – called Velib – are beeing available all over Paris. From Opera, Champs Elysee or the Eiffel Tower, take your bike and reach by your own to Montmartre with your Paris Velib Map. Credit card only : Follow the screen’s instruction. Choose english for language. Get a ticket with your pin number. You must agree for a €150 guarantee . Take a Velib bicycle and get it back where ever you want in a Velib Station. A green light appears when you put it back correctly. A red light appears when the Velib bicycle doesn’t interlock well in a Paris’ Station. In this case, don’t forget to declare on the screen that your bike is returned. Otherwise, your €150 will be debited. You can’t take another Velib bike with your pin number as long as your bike return hasn’t been checked (less than 24 hours). You have to take another number. It’s not very useful. it’s dangerous by wet weather. Can’t be used with babies or young kids. It’s only available from 14 years old. Sometimes, it’s difficult to park the Velib bicycles where you want, especially in the crowded area (city center). 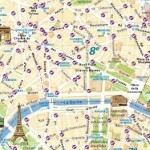 For more information about Velib in Paris : find english Velib brochures, the Paris Velib’s map, reservation by Internet. If you need more informations, you can also call the customer service and get help in English : (+33) 1 30 79 79 30.